The New York Times is rolling out a monthly print-only section for kids, in response to positive feedback the Times received when it debuted its first Kids section in May. The second edition of the Kids section will appear in the Sunday, November 19 edition of the newspaper. It becomes a regular monthly section next year, starting January 28. Looks like Google has responded swiftly to the article from Sunday’s NY Times highlighted yesterday in Tablettoddlers. 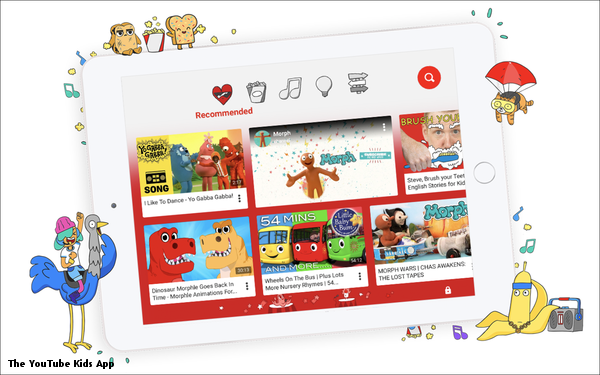 From the MediaPost article: Google’s YouTube has released an updated version of YouTube Kids, a version of the video app that features age-appropriate content and more restricted advertising. The revamped app allows users to create multiple profiles for their kids. The profiles will also change as the child ages, with younger users seeing more pictures and less text, while older users get more content on the homescreen. The new profiles will work across all devices that have the app. Kids will also be able to set their own passcode for their profile to keep their siblings out, though parents will be able to override it. Parents will also be able to select and tailor programming for their kids when they first set up the profiles in the app.